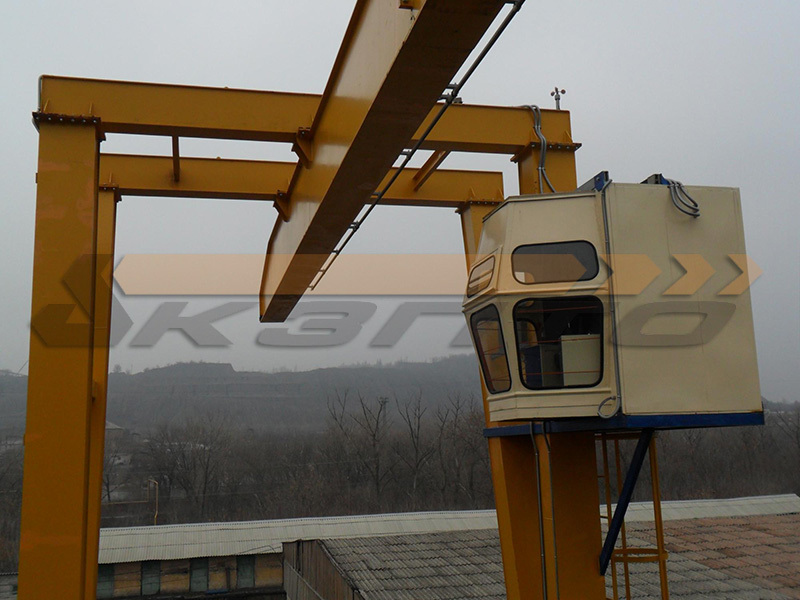 «Kyiv Crane Machinery Plant LLC» manufactured and delivered to the address of flux-dolomite plant gantry crane dual console 10,0t type QC-10,0-19,7(11,3+2х4,2)-7,3-А5. 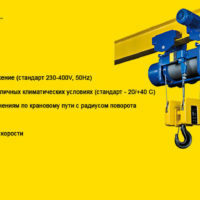 Constructive crane was designed by designers LLC "Kiev factory of PTO" together with the engineering and design department Podem AD. 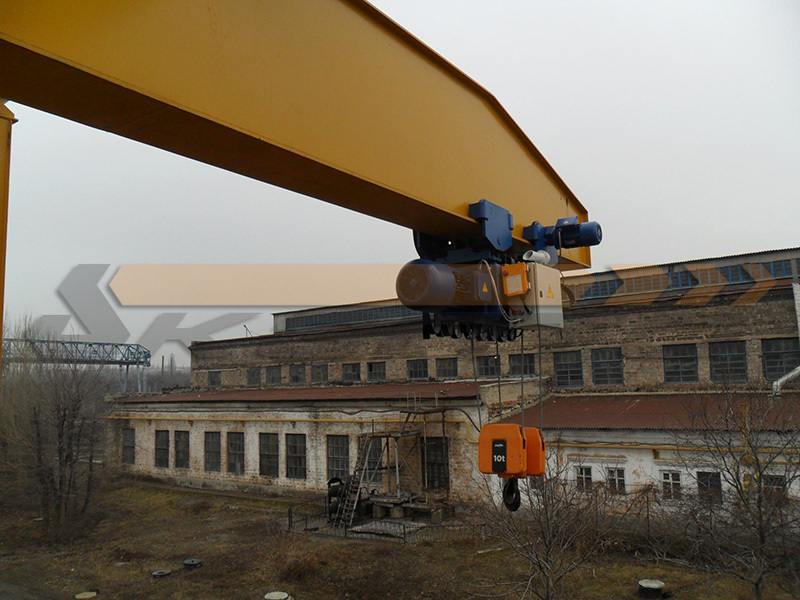 hoist rope-type MT 53 525 H10 V1 4/1 MED20 / 6,5 and the end of the beam-type G with a motor-reducer group TR-1 two-speed version: For project standard crane components have been chosen. 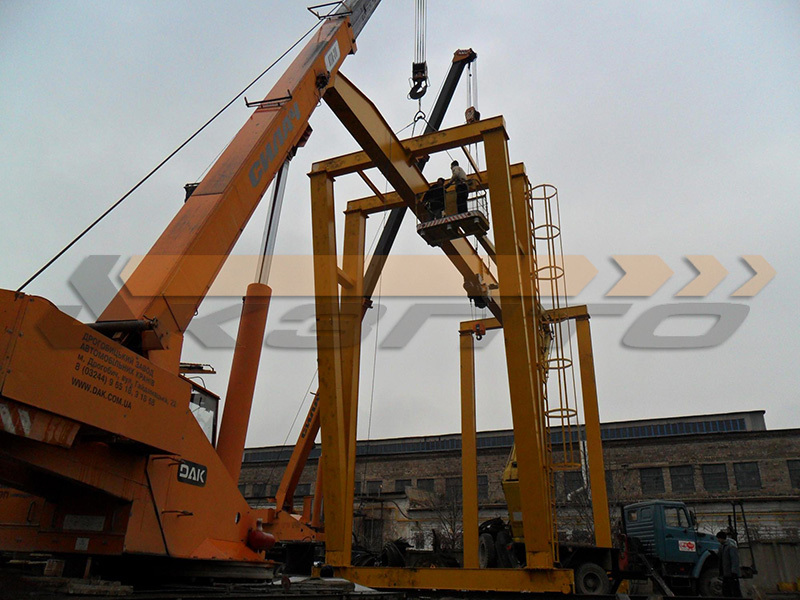 Fixing span bridge gantry crane vertical. The supporting legs are connected to the mounting bridge jumpers on the one hand - hard, on the opposite - hinged. 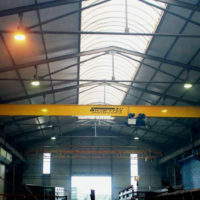 This arrangement provides the necessary design flexibility. 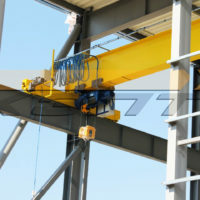 Basic metal crane - box-welded beams. 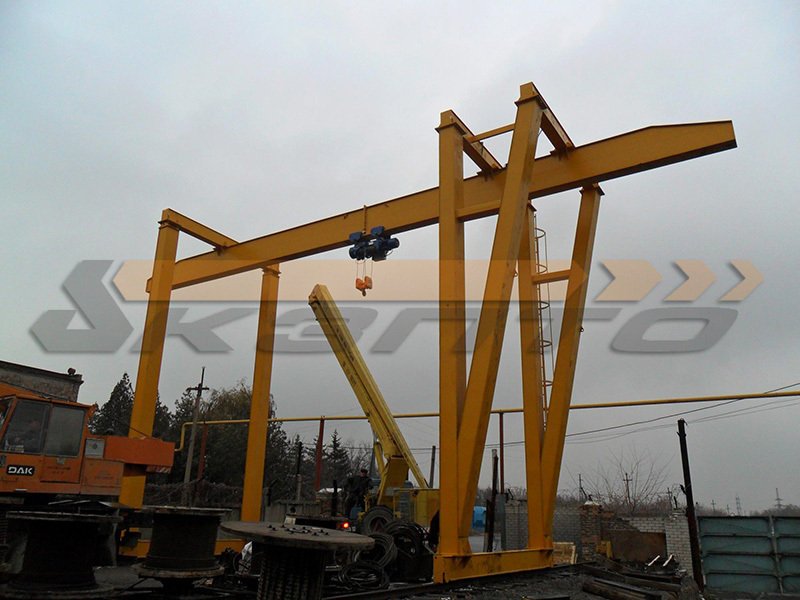 Taking into account the customer's specifications and operation of the crane on the street - for the transit beam welding (bridge) and the crane support legs used rolled sheet steel 09G2S. 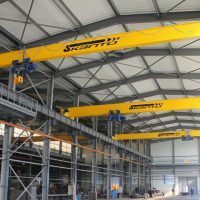 The electrical equipment used gantry crane components Schneider Electric (France) with a degree of protection IP55. Control valve - from a stationary cockpit. The operator station is equipped with a heater and air conditioning. There are also redundant radio control valve. 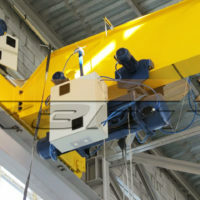 On Hook suspension mounted crane scales, which allow weighing lifted load with an accuracy of 5kg. 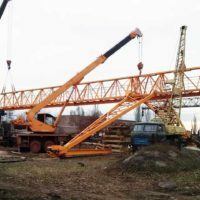 Installation of the crane was carried out in cramped conditions with w / d on a nearby crane w / e branch. 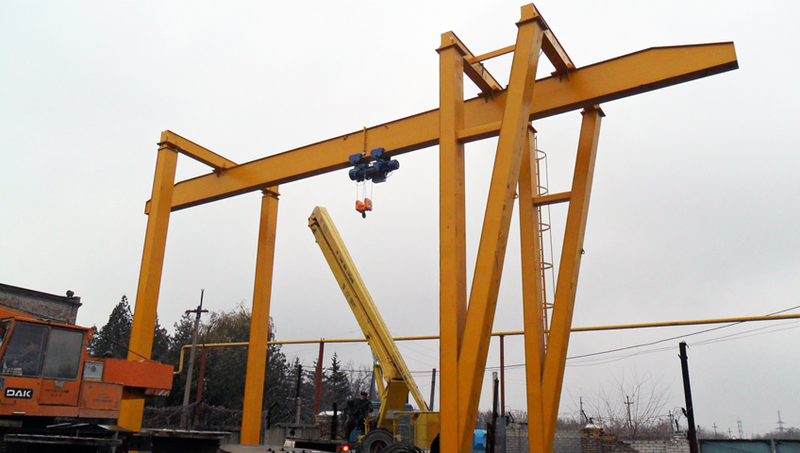 Installation and commissioning were carried out by specialists of "Kiev factory of PTO" on the basis of the permit.